After Metz, the European and Interdisciplinary Network for Issues and Uses of ICT (EUTIC) invites you to its next symposium that will take place at Waterford Institute of Technology on October 23rd, 24th, and 25th, 2013. From the first symposium in Bordeaux in 2005 to the latest one in Metz in 2012, the founders of the international research network have decided to highlight the interdisciplinary nature of the studies on what is at stake in communication and information technologies. For the ninth edition of the symposium the organisers wish to connect the theme of engagement of the public and enterprises in a dynamic environment and to explore this issue in the context of global networks. The first symposium organised by GRESIC, the project coordinator, was held in September 2005 at Michel de Montaigne University of Bordeaux on the subject of “Social and cultural” aspects. 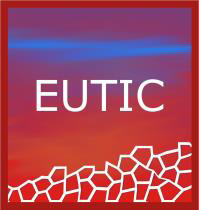 Since then, EUTIC has continued to examine many issues exploring the role of ICT in relation to change and transformation in organisations, society and culture. All accepted papers will be published in the conference proceedings on CD-ROM. Publication in the Proceedings is contingent on the actual registration of the author (or one of the authors) as well as the participation of the author (or one of the authors) in the symposium. Authors are invited to submit a proposal for a paper or poster session in French or English (Title, 5 keywords, 2 page text proposal, bibliography). Indicate the theme on which you wish to write your paper. On the first page: Paper title, identify the author or authors, the name of the organisation affiliation, position, e-mail address, full postal address, telephone, and fax numbers. On the second page: Paper title, 5 keywords, a long summary (2 pages) which presents the topic of the contribution, the theoretical framework, the methodology, the corpus (or the analysed data) and the main acquired or expected results. Successful proposals may be subject to corrections requested by the scientific committee. The full text should be submitted no later than 30th September 2013 for publication in accordance with the procedures that will be set out on the conference website.